Five new routers will come with two years of McAfee antivirus, and five years of IoT protection. D-Link will unveil a new lineup of mesh Wi-Fi routers and mesh access points at CES next week, featuring built-in network security courtesy of McAfee. Each of the routers in the D-Link Exo product line will be based on the 802.11ac standard and will ship with five years of IoT protection for smart home devices, and two years of cloud-based McAfee antivirus for any laptop, computer, or mobile device that connects to the home network. The routers will also have built-in parental controls that allow the home network admin to create custom user profiles for each member of the family and the devices they use, so that adults and older children wonâ€™t be limited to the lowest common denominator of access that gets assigned to the youngest. Parents will be able to choose from present content filters sorted by age, and they can create usage schedules to limit the amount of time children spend on the web. 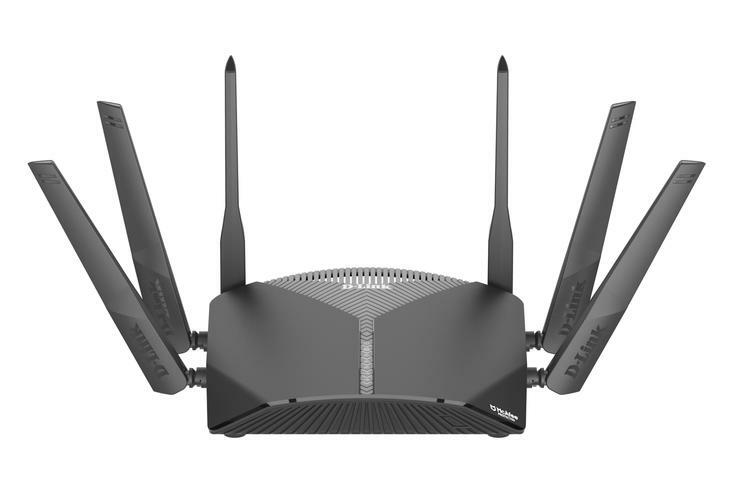 Prices will range from $79.99 for an AC1300 Exo mesh router to $199.99 for an AC3000 model. D-Link will also have AC2600 ($179.99), AC1900 ($159.99), and AC1750 ($119.99) models. The company will offer two mesh access points: An AC1300 model for $79.99 and an AC2000 model for $99.99. The routers and APs will be sold separately, although a D-Link spokesperson said in a briefing that the company will consider offering bundles down the road. The Exo lineup is expected to be available sometime in the second quarter of 2019.